Courtesy of Priority One Real Estate. THIS IS AN IMMACULATE 2 STORY 4/5 BEDROOM, 4 BATHROOM WITH MANY UPGRADES THRU OUT. 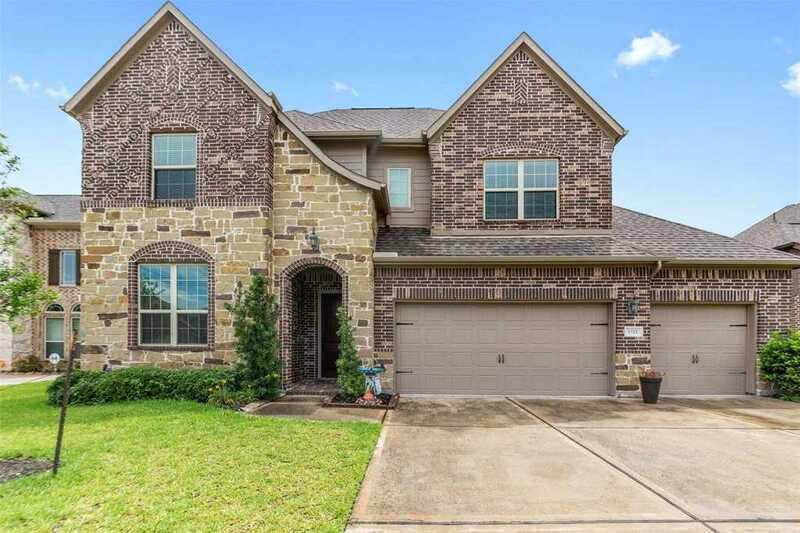 MASTER AND ONE OTHER BEDROOM DOWNSTAIRS, CUSTOM SOLID WOOD 42 CABINETS, GRANITE COUNTER TOPS, DESIGNER BACKSPLASH, OVERSIZED FINISHED GARAGE, HUGE MEDIA ROOM UPSTAIRS, NO BACK NEIGHBORS FOR PRIVACY, ENERGY STAR AND GREEN CERTIFIED. ZONED TO CCISD, MINS FROM KEMAH, CLOSE TO SHOPPING AND WALKING DISTANCE TO VILLAGE. THIS IS A MUST SEE! !